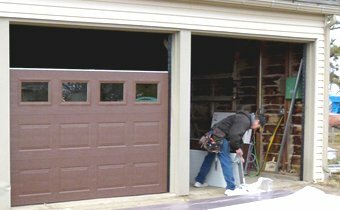 Garage doors require regular maintenance for proper functioning. Even then you may need garage door repair. Thankfully, in Anaheim, you can rely on Safeway Garage Doors Team to repair all types of garage doors. We take pride in exceeding our customers’ expectations and this has made us into one of the most sought-after garage door repair services in the area. Besides Anaheim, we also serve the neighboring cities and towns of Fullerton, Placentia, Garden Grove, Orange, Stanton, Buena Park, Brea, Santa Ana, Yorba Linda, La Habra, Cypress, Westminster, East La Mirada, La Palma, and La Mirada. Safeway Garage Doors Team is renowned for being a cost-effective, efficient and reliable garage door repair service. We take immense pride in our work and ensure we never leave our customer’s premises until they are satisfied with our service. We cater to residential and commercial customers, and no garage door installation or repair is too big or small for us. Our trained, licensed and insured technicians can resolve complex issues without much ado. When you call us for garage door repair or installation, you have peace of mind knowing that specialists are attending to your garage door and things will be set right within a short time. Our technicians are extremely diligent and knowledgeable. This allows them to work on any type of garage door, make and model. This competitive edge has come to a good stead as we are in great demand in Anaheim, Fullerton, Santa Ana, La Mirada, La Habra, Westminster and the neighboring areas. If you are looking to improve and enhance the look and feel of your home or commercial setup, think about installing a new garage door. We provide seamless and efficient new garage door installation. However, the key is finding the right garage door that will make the unique architectural features of your property stand out. Our technicians are versatile and helpful and will go out of their way to recommend the right garage door based on your property’s architecture and other features. 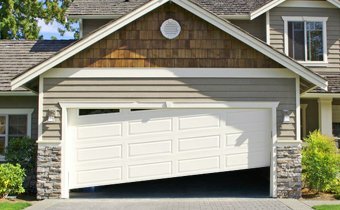 If you cannot find a garage door, we would be more than happy to recommend and suggest custom garage doors to give your property a unique appearance. You can rely on us to do any new garage door installation quickly, efficiently and safely. The right garage door will not just insulate your garage, but also keep your property safe and boost its aesthetics. Our new garage door installation service is backed by our guaranteed workmanship. So, you can rest easy knowing that any installation we undertake will be superior in quality and outstanding in safety and security. We don’t believe in doing half jobs, and our technicians will work swiftly, but correctly. Use our end-to-end new garage door installation service and sit back and relax. You will not only love our work but also our prices. Our service is affordably priced and this gives you the assurance that you will never be overcharged or get nasty surprises. Remember that garage doors are mechanical, and hence, they are prone to wear and tear even if you maintain them regularly. When you get in touch with us for garage door repair, our technicians will schedule a visit to inspect the door and figure out the problem. Once we have ascertained the problem, we will offer the right repair solution. Our technicians always visit a customer’s property in the service truck. So, spare parts, tools and equipment are always at hand to carry out immediate garage door repair. 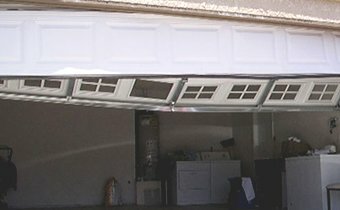 Usually, garage doors malfunction or do not work like they should do due to the failure of individual parts or normal wear and tear. The opening and closing mechanism of your garage door are controlled by springs. 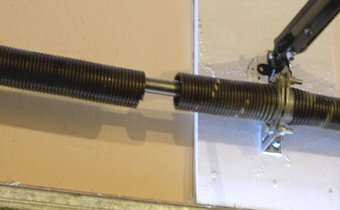 So, if there is an issue with opening and closing, you need garage door spring repair. 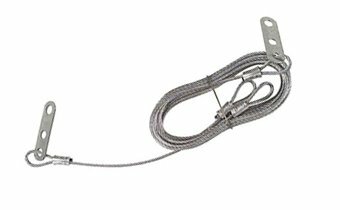 Remember, a faulty spring can also result in the garage door cable to snap. You can be certain with Safeway Garage Doors Team that if you have a garage door problem, we have the right solution for it. 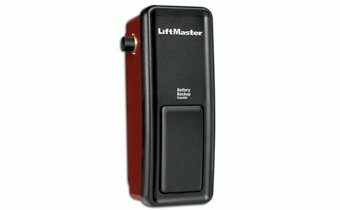 The garage door opener is responsible for opening and closing your garage door. So, if the opener stops functioning, it can be frustrating. Safeway Garage Doors Team can carry out efficient and prompt garage door opener repair. 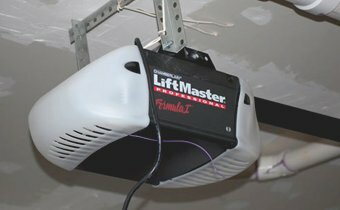 Our technicians can repair and install Jackshaft garage door opener with ease. When you call us, the technicians will inspect the garage door opener to figure out the problem. Thereafter, we will work quickly to ensure the best garage door opener repair service so that order is restored at your home or workplace. We also undertake new garage door opener installation. So, if you are looking to replace your garage door, or the opener is damaged beyond repair, our technicians will ensure smooth and seamless garage door opener installation. We can install any type of opener with ease and this is why our installation service for openers is in great demand. Once you see our handiwork, you will be impressed. It will also make you realize why we are the best garage door opener repair and installation service in town. Don’t just take our word for it; test us to believe us! Your driveway gate not only improves the appearance of your property, it also keeps unwanted intruders out. 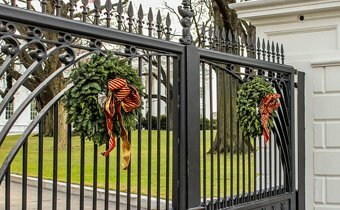 However, with constant use, your gate will show signs of wear and tear and damage. The moment you notice that your gate is not functioning the way it should, call us for prompt gate repair. Once we have finished the gate repair, you will be impressed at how beautifully your gate works and will continue to do so for many years to come. Our technicians will also give you tips on gate care that will enhance the longevity of your gate. A malfunctioning commercial garage door is a major problem. 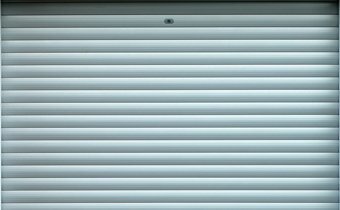 It causes safety issues and can also allow burglars and intruders to make their way into your commercial setup. That is why you should call us right away for commercial garage door repair if you notice a problem. Our technicians can fix just about any problem with a commercial garage. Repairing broken cables, damaged tracks and jammed doors are part of our everyday work and we ensure that your commercial garage door is up and working within no time. As a part of our commercial garage door repair and installation service, we also help our customers with commercial roll-up doors installation and repair. We offer you a range of aesthetically pleasing and highly functional commercial roll-up doors for your commercial establishment. And, you can also depend on us for commercial roll-up door maintenance. Safeway Garage Doors Team is your one-stop service provider for all your garage door problems. We also install new garage doors and cater to the needs of our commercial customers with commercial garage door repair & commercial roll-up doors installation, maintenance and repair. Although we are based in Anaheim, we service the surrounding areas as well. Our services extend to the cities and towns of Fullerton, Placentia, Garden Grove, Orange, Stanton, Buena Park, Brea, Santa Ana, Yorba Linda, La Habra, Cypress, Westminster, East La Mirada, La Palma, and La Mirada. If you face any problem with your garage door, there is just one service provider you need and that is Safeway Garage Doors Team. Our technicians are trained, certified and licensed to carry out major and minor repairs on all types of garage doors, makes and models. Call us today at 714-409-8043 and you will be highly impressed with our courteous and efficient staff. We will be at your premises within 45 minutes of receiving the call or at a time that is convenient for you. For our commercial customers, we are available after business hours so that you don’t face any inconvenience when we carry out the commercial garage door repair or installation.